We are instrumental in offering technologically advanced Envelope Punching Machine to the clients. 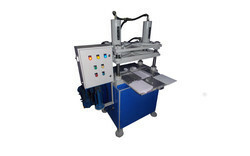 Our Envelope Punching Machine is perfect for punching of envelopes of different sizes. These Envelope Punching Machines are known for longer working life, high performance and sturdy construction. Envelop Punching Die Cutting Machine : Heavy Duty industrial Model AC motor V-Belts pulley with safety guard of complete accessories Electrical starter etc. 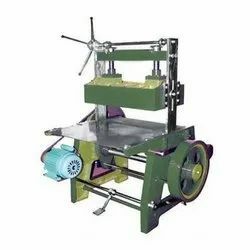 Available Size: 19" x 33" & 24" X 36"
In order to keep pace with the never ending demands of customers, we are involved into offering wide range of Envelope Punching Power Press Machine. - The machine is specially designed for bulk production of cutting sheets. It cuts all types of paper and other products. Size of Machine: 19" x 33" - 24" x 36"
Max Die Cut Size: 14"x28"
Max Paper Sheet Size: 36"x46"
Specifications:Size Of Machine ApproximatePower RequiredGross Weight19" X 33"3 H.P.1200 Kgs24" X 36"5 H.P.1400 Kgs. Being a leading firm in this industry, we are offering a high-quality range of Envelope Punching Machine. 19" x 33": 2 H.P. 24" x 36": 2 H.P.